that I volunteered as a Ranger, fully knowing the hazards of my chosen profession, I will always endeavor touphold the prestige, honor, and high esprit de corps of the Rangers. the fact that a Ranger is a more elite Soldier who arrives at the cutting edge of battle by land, sea, or air, I accept the fact that as a Ranger my country expects me to move further, faster, and fight harder than any other soldier. will I show the world that I am a specially selected and well trained Soldier. My courtesy to superior officers,neatness of dress, and care of equipment shall set the example for others to follow. will I meet the enemies of my country. I shall defeat them on the field of battle for I am better trained and will fight with all my might. Surrender is not a Ranger word. I will never leave a fallen comrade to fall into the hands of the enemy and under no circumstances will I ever embarrass my country. 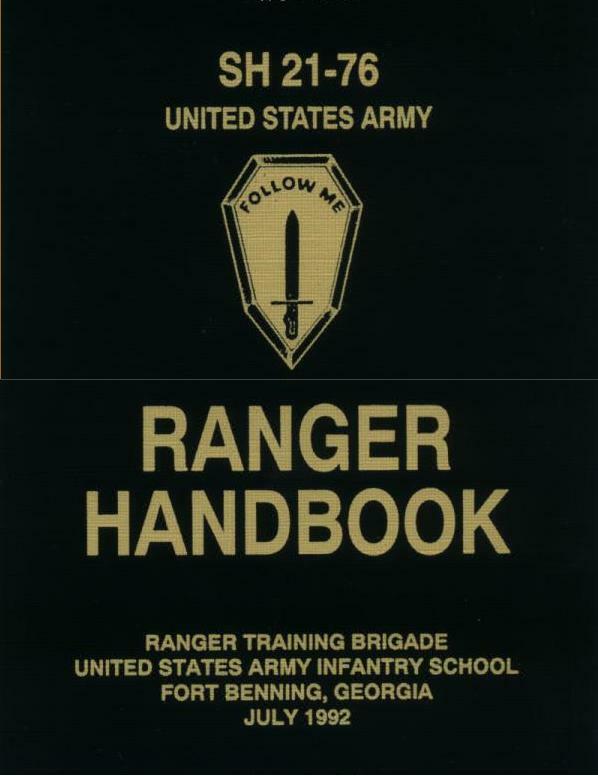 will I display the intestinal fortitude required to fight on to the Ranger objective and complete the mission, though Ibe the lone survivor.